For those of you who are familiar with Battleship, the board game probably brings back fond memories of playing find and seek on lazy afternoons with friends and family. 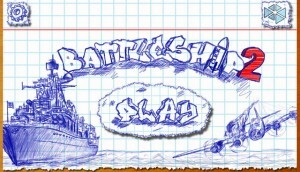 BYRIL who brought you the first installment of Battleship on Android has come out with a new installment of the game (Battleship 2) that offers online multiplayer options to take your ship sinking skills to a global level. 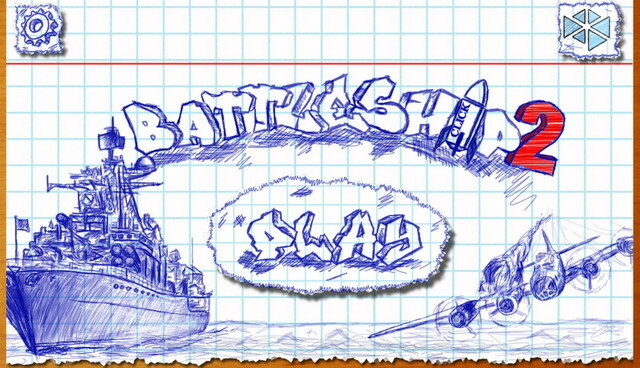 For the uninitiated, Battleship 2 is about placing battleships on a board and then taking turns with players to seek and destroy ships on each other’s territories. Battleship 2 has an interesting design where a squared notebook acts as the battlefield arena and hand drawn graphics and amazing sound effects make for a realistic and engaging gameplay. Just like in the original you have a number of battleships, destroyers, bombers, mines, anti-aircraft defense, and radars at your disposal. The developers let you enjoy the game in three ways. You can play single-handedly against the machine; you could play with your friends via Bluetooth; or you could take turns and play with your friends from just one device. If you’re a rookie, you can play Battlefield 2 in the Classic mode, but if you’re a pro, you can challenge yourself just a little bit more by going for the Advanced game mode. Every win gives you points which you can use to buy aircraft, mines, radars and other cool items needed to improve your chances of winning. 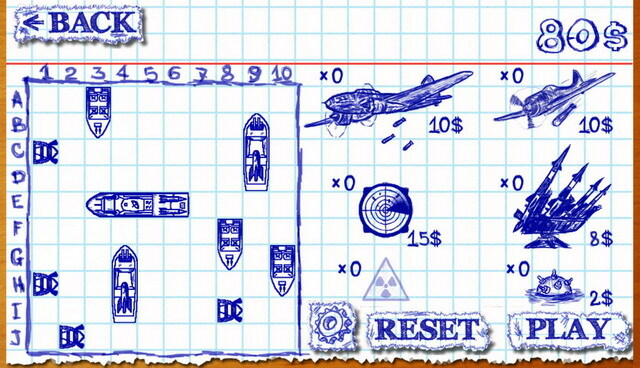 If you have long since lost your favorite board game, you can re-live the magic now by downloading Battleship 2 from the Play Store. It’s available for the price of free.